Base running, fielding and some throwing movements are comprised primarily of "sagittal-plane" or forward/backward motion. This dominant direction of motion produces locomotion and propulsion, enabling a softball player to make an accurate throw or run quickly to a base or ball. "Frontal plane," or side-to-side motions occur during catching, throwing, hitting and running. This plane of motion is the least dominant softball skill component, and frontal plane exercises are frequently the last to be included in training programs. As a result, joints and soft tissues are vulnerable to low-level injuries. Softball is a quick game. Everything needs to be done as fast as possible. To be successful, softball players need multi-directional quickness, first step quickness, lateral movement, acceleration and linear speed. These performance factors must be trained and developed as much as possible. Every single action in softball is an explosive action. Hitting, throwing, quick lateral movements, jumps off the bases and others are all explosive. The need is for muscular power. Power is a function of speed and strength. More specifically, softball players need throwing power and acceleration power. A base in overall body strength and maximal strength is also important; it serves as a foundation to build muscular power. Some muscular endurance is also beneficial, especially for pitchers. Because of the variety of skills and movements in the sport of softball, most body parts need to be trained. They all contribute in one way or another to enhance performance in softball. Shoulder and back strength as well as the rotator cuff muscle group are important to throwing but the legs and the core (hips and abdominals) also contribute to the throwing motion. The legs and the core are even more important for hitting since the power comes from the middle and lower body. 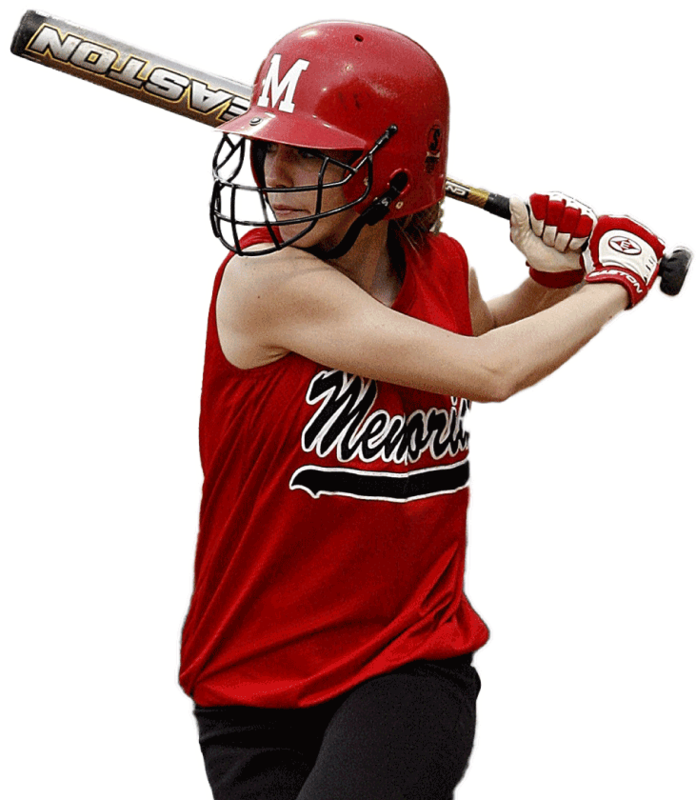 Softball players need strong stabilizers to keep them injury free and a lot of them have weak stabilizers (mostly shoulder, trunk and knee stabilizers). There is an important need to work on shoulder, core and knee stability. The most neglected area in sport performance training is core training and it is one of the most important. Core training will enable the athlete to achieve better performance, increase torso power and joint stability, improve posture and neuromuscular coordination, reduce injuries and enhance movement efficiency. Floor-based crunches and sit-ups do little for core stability and trunk power. Stability ball training will develop the deep abdominal muscles needed to stabilize the trunk while medicine ball exercises will develop the power of the trunk. In short, softball players need to develop a base of strength and then concentrate on developing muscular power with explosive training (plyometrics, explosive tempo weight training and Olympic lifting). They also require strong stabilizers. Lots of time should be spent on core training.